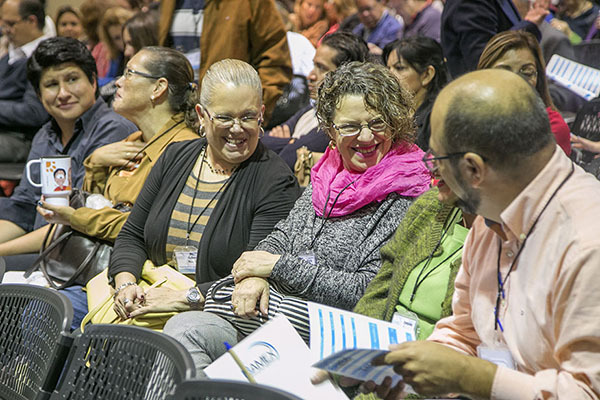 In response to rapidly growing interest in IB programmes in Mexico*, the IB Association of Mexico (IBAMEX) decided to move a step forward in 2011 and become a provider of IB workshops. We’ve had such great success that we advanced further in 2015 with the launch of IBAMEX Week – a gathering of IB educators from across Mexico, Colombia, Peru and Ecuador at host school, ITESM, for a conference and many round-table discussions. Our association has two key goals. We want to make professional development opportunities more accessible for IB educators in Mexico. And we want to foster a friendly atmosphere that plays host to a high-achieving group of schools who work together to attain the same goals, live the IB mission statement, and maintain high standards in education. IBAMEX Week had three goals. To provide an arena for a group of international educators to touch the hearts and move the minds of those in charge of designing and redesigning school curriculum to become the motor of change. To re-address how IB philosophy is being put into practice. And to find the opportunities and ideas that nurture our educational force as a country. To help us with both sets of goals, we invited Ben Walden to run a motivating and inspiring session for our school leaders on pedagogical leadership. Ben is an actor and presenter who dedicates his time to supporting educator development: “Teachers are the heroes and heroines of our society,” he said at an IB conference in 2013. “I want to help them and do something to help their students.” We also invited 43 IB educators from 12 countries to offer a total of 29 workshops and 9 round-tables to almost 600 participants. 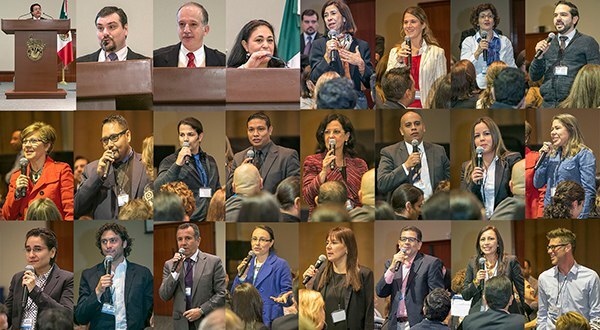 We are delighted with the success of the event and how IBAMEX has become the connecting thread between Mexican schools – the voice of many, singing to the same tune. IB programmes in Mexico face the challenge of changing the paradigm of learning by memorizing and repeating as opposed to learning by understanding, acting and transcending. IBAMEX Week will continue to be an opportunity to learn and connect, to create and transform. The network of IB schools in Mexico is a solid and cohesive one, one that thrives on the desire of changing the world through education. We hope to see you at IBAMEX Week 2016! *Mexico currently has more than 100 schools offering an IB programme – this places it seventh globally in a list of countries by number of schools offering an IB programme. Isela Consuegra is the President of the IB Association of Mexico (IBAMEX).